Vanbreda is a Belgian based international private medical insurance provider that caters to the medical insurance needs of individual expatriates and the employees and staff of international corporations and organizations. As part of the Cigna Group, Vanbreda has been able to combine its 50 years of health insurance experience with Cigna’s global reach and today, Vanbreda maintains 10 offices in key locations around the world and it boasts a customer base in excess of 470,000 members located in some 192 countries. 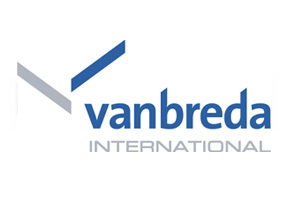 One key component of Vanbreda’s international plans is the company’s ability to offer tailor made solutions to both individuals and corporations. This essentially means that some provisions and benefits can be included or removed from standard products to suit the health needs of the individual concerned. As a result, Vanbreda’s tailor made plans have become very popular with a large number of international expatriates and employers. Vanbreda members based in Thailand can contact the Malaysia office for customer services and local support. Vanbreda Thailand policyholders can also avail of a 24 hour free phone emergency contact line should they require urgent assistance and this number is 00800 82 62 73 32. I was encountering some problems with a number of insurance providers who were reluctant to offer coverage for some old football injuries. I contacted Thailand health insurance who mentioned Vanbreda’s ability to tailor some of their plans and I was relieved when they confirmed they could extend coverage to include my outdoor hobbies and other activities. The staffs at the Malaysia office have been extremely helpful and my cover was pretty much confirmed within 24 hours. I have no hesitation in recommending Thailand health insurance and Vanbreda to friends and colleagues. Vanbreda have been my insurance provider for a number of years now and I feel privileged to have such a great team helping me with my health insurance cover. Anytime I’ve needed hospital treatment the staff have been able to reassure me that everything will be taken of, which was really comforting during what turned out to be a difficult time. Everything from my renewals to claims has been handled with the utmost professionalism and I advise people to seriously consider investing in a Vanbreda policy. Please contact our support and research staff for detailed information and advice on the Thailand health insurance options currently available from Vanbreda or any of the insurance providers found on this site. Alternatively, please submit your personal details in the form section at the top of this page to receive this information.